The last several days have been packed with good news for Android fans. First, HTC showcased the Hero and now O2 have announced the Samsung Galaxy I7500 is already available to customers in Germany. Like the Magic and Hero, the device doesn´t sport hardware keyboard and is entirely controlled via its 3.2-inch AMOLED screen. It comes equipped with 5-megapixel camera, 8GB built-in memory and supports HSDPA 7.2Mbps. Its price on a two year contract is EUR69.99 ($89). Congratulations to all Germans. 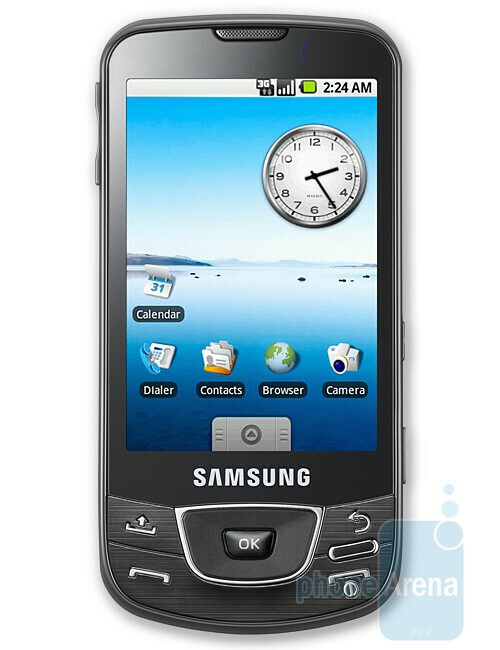 We hope the Samsung Galaxy I7500 is released in other parts of the world soon. IT'S REALLY SAD THAT NONE OF THE ANDROID PHONES HAVE FM RADIO IN THEM. I too kind of wish they didn't have directional pad. Rather I wish they stuck with the original Omnia's optical mouse. It could be used as a mouse OR a directional pad.